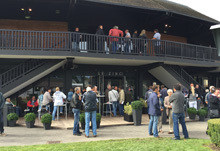 Since the Summer of 2015, catering on the entire Deauville sales complex is provided by Henri Morel. Henri acquired a solid experience in the most prestigious gastronomic institutions in France and abroad, before running the ‘Yearling’ restaurant, around the corner from the sales complex, for several years. He now specialises in catering. 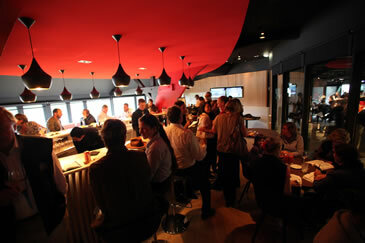 At the heart of the sales action, a modern, cosy venue to enjoy traditional, fine quality French cuisine. Seated service, from breakfast to supper. Open from the early morning to the end of selling. Booking available on +33 231 81 82 00. 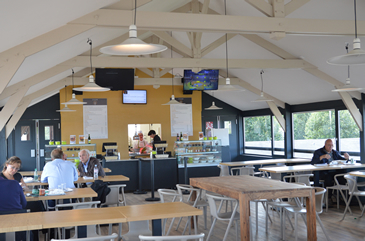 Above Yard B, a brand new restaurant with a very competitive, self-service menu for breakfast and lunch. Open from 6:30am for breakfast in the Summer. 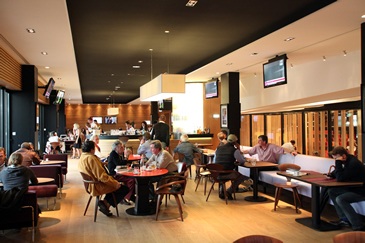 A modern, cosy lounge bar to take a break while enjoying a panoramic view upon the sales complex. Hot & cold drinks, tapas. 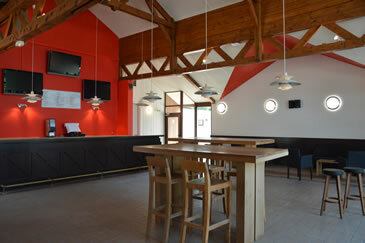 Close to the sales ring and with a brand new deck, a welcoming bar for a sip and snack. Hot & cold drinks, sandwiches and much more. A cosy, freshly renovated place in Yard C.
Also offering a working corner with PCs available.